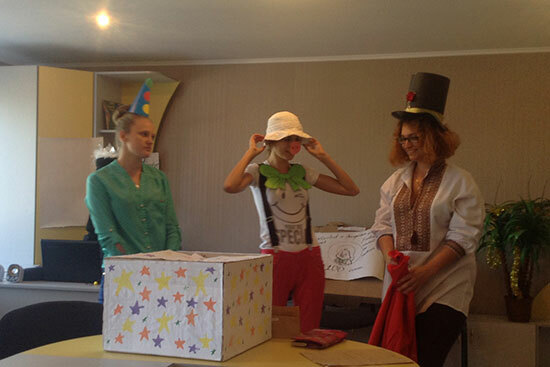 On September 18 the students of speciality “Primary Education” defended their projects at Starobilsk Humanitarian and Pedagogical College. 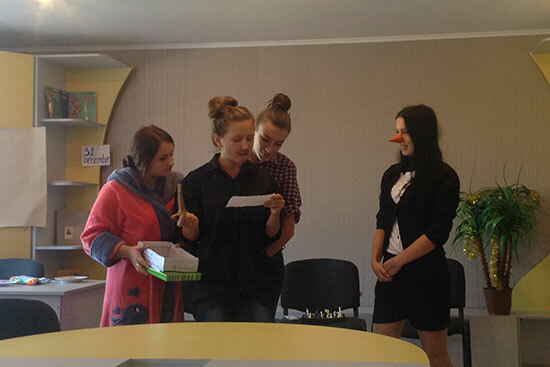 During September 2015 the students of PO-4(9) were preparing interesting project in practical course of English under the supervision of the teacher of philological disciplines A.O. Bublyk. On September 18, 2015 during the classes the future teachers of elementary school and English teachers in elementary school were displaying not just their knowledge but good artistic skills as well. 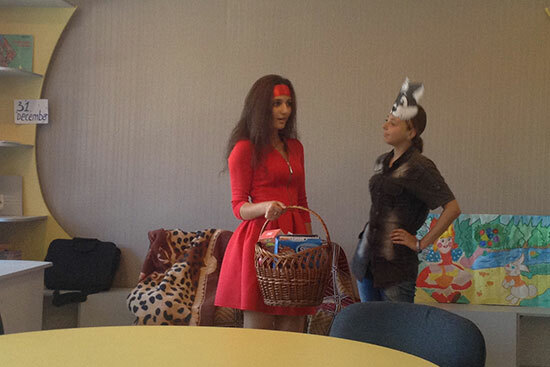 They changed into the characters of the English folk tales, the heroes of well-known cartoons “The Little Red Riding Hood”, “Winnie-the-Pooh”, “Three from Prostokvashyno” and others. The students were practicing in pronouncing, demonstrating their vocabulary and performance skills. According to the teacher, such forms of lessons stimulate the students to study the subject, instill a sense of responsibility for the common goal, a desire to demonstrate their abilities that is so important for mastering the speciality.